This is a space usually occupied by Core i5 and i7 chips. Normally, the addition of a mobile Intel Core i3 chip wouldn’t be cause for excitement. But the new Core i3-8130U adds something special: Turbo Boost, a capability that Intel hasn’t added to its mobile Core i3 chips before now. Intel launched the Intel Core i3-8130U, a dual-core, four-thread, 15W mobile chip for mainstream laptops and two-in-ones, a member of the mobile Kaby Lake (14nm) family. On the surface, the specs of the new Core i3-8130U are unimpressive: a 2.2,GHz base frequency, UHD 620 graphics, and 2,133 MHz (LPDDR3) or 2,400 MHz (DDR4) memory support. But the new boost frequency also kicks up the chip’s potential top speed to 3.4GHz, which makes the 8130U the fastest mobile Core i3 Intel offers. 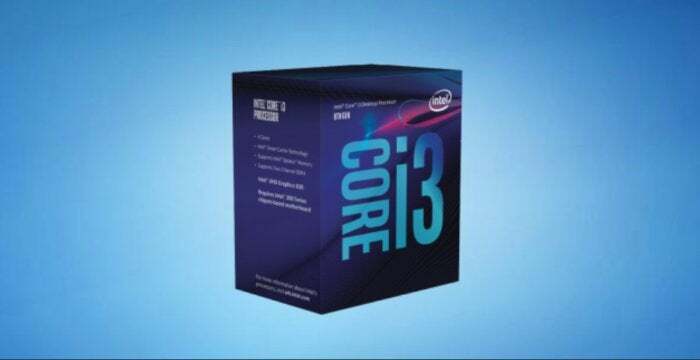 The Core i3 family typically represents the least of Intel’s offerings. But with Turbo Boost, Intel’s Core i3 leaps up into more rarefied territory. Just a couple of years ago, Intel sold the Core i7-6650U, an almost identical part: two cores, four threads, 15W, with a core frequency of 2.2GHz and a boost frequency of 3.4GHz. Intel sold that chip alone for $415, an enormous chunk of the price of a new notebook or two-in-one. Granted, Intel hasn’t announced the Core i3-8130U's pricing, but we can hope it'll be down in the traditional Core i3 range, more like $150 or so. Intel’s addition “rounds out” Intel’s Core i3 portfolio, according to Gregory Bryant, the senior vice president of Intel’s Client Computing Group. Unfortunately, no pricing has been announced—through with a mobile processor like this one, you’ll be buying a tablet or a notebook, rather than the chip itself. Bryant tweeted that he expects to see these systems from Intel’s partners, soon. What this means for you: It’s possible to see this as a belated response to the AMD Ryzen 5 2500U, the mobile Ryzen part AMD announced late last year. At a base clock of 2GHz and a boosted clock of 3.6GHz, Intel’s chip is pretty similar to AMD’s own 15W chip for two-in-ones. Still, AMD’s 2500U also includes 8 Radeon RX Vega CUs inside of it, offering a graphics punch that Intel really can’t without a discrete GPU attached. Nevertheless, it plays into the basic thesis of why you can’t help but root for AMD: Competition benefits you, the consumer.